Oxford University’s Environmental Change Institute has launched its first spin-off company, which will market online software to help small businesses cut their energy usage. 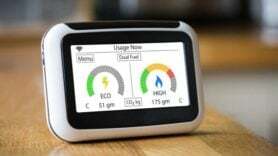 Developed as part of a UK Energy Research Centre (UKERC) project, Pilio Limited say their sMeasure technology can cut 40% off SMEs’ energy bills. The technology monitors and analyses a building’s energy efficiency by combining gas and electricity meter readings with weather data. Businesses which have already made use of sMeasure include the Royal Albert Hall, Greater London Authority and Severn Eye Energy Agency.